If you are the biggest fan of Samsung’s Galaxy series, the company has announced something new to take your experience to the next level. Samsung has announced a very new accessory for its Galaxy series Smartphones, “The Samsung GamePad and Mobile Console App”, thegamepad specifically designed for the Galaxy users. The Samsung Galaxy Gamepad will turn your Galaxy Smartphone into the portable gaming console. However, it can be used on the other Smartphones also. 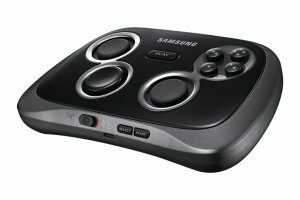 Being rumored on the web at the time during the launch of Galaxy S4, Samsung GamePad is all set to take the user experience to the next level. This Samsung GamePad comes with the steel frame and can beautifully hold Galaxy or other devices ranging from 4 to 6 inches. The Samsung GamePad can be paired with your Smarphone devices with the help of Bluetooth pairing. It can also connect to a TV via HDMI cable. For the user using Galaxy Note III, Note II , or Galaxy S4, they will be able to connect using NFC which offers quicker access to the games. Once the user connects their smarphones to Samsung GamePad and hit the play button, the device will show all the compatible games and your device will be all ready to play hard-core games on the go. There are total 35 dedicated games at present, as reported by the company with more to come. This device is compatible with the devices running Android OS 4.1 or later versions. The Samsung GamePad is available in certain parts of Europe with the price tag of 80 GBP. We are waiting to get the official confirmation from the company itself on the release date for Asian Countries. So, Stay tuned! So you can write us any views or suggestion regarding new launching of Samsung GamePad. Dont Wait to take advantage and fun from new launched Samsung GamePad. Being a blogger, I always have to capture lots of screenshot from the web to show them on my blog. 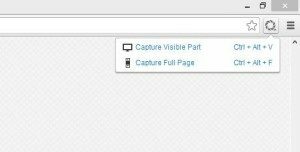 Generally, most of us are using Snagit to capture the screenshot of the PC, but it cannot capture the whole web page and it captures only visible view of any web page. 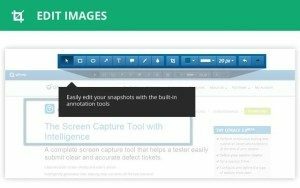 On this blog I had reviewed some of the beautiful Chrome Extensions like Blipshot andAwesome Screenshot and now it is the time to review one more new webpage screenshot capture tool called qSnap. This is an ultimate solution to capture the whole web page and it supports most of popular browsers like Chrome, Firefox, Safari and IE as well. I have personally installed this extension in Google Chrome and here is the features and review for this extension. There are numbers of feature that makes this extension better as compared with other similar capturing tools available in Chrome Web Store. It takes few seconds to install and popup as toolbar icon where you can access it with a single click. Without too many annoying options it shows small popup where you have to select option for capturing the whole webpage or just to capture visible part. Once you took the screenshot of any webpage, snap comes with a new image editing window where you can finalize the captured screenshot to make it look better. You can do lots of stuff on any image to make them better like you can design Circle, highlight, crop and add notes to make your screenshot more attractive. At the bottom of editing screen you can view all the captured screenshot and you can also load them in the current session by simply clicking on them. After finalizing the screenshot, you are ready to share or save them on the computer. qSnap can directly share your captured screenshot or upload them for 30 days at qSnap free online hosting. If you opt to upload your captured screenshot at qSnap online storage, you will get some extra features also. You can also use keyboard shortcuts to save captured screenshot like Ctrl + ALT + S shortcut can save your screenshot on your local computer. qSnap is an awesome piece of tool for capturing the full webpage and it offer lots of useful options. Needless to say that Google is the most popular search engine around the globe and we all use it on a daily basis. It’s a kind of the integral part of our life. The ever expanding Google always try to give something new and more exciting to the users, and for adding something more interesting to its services, Google has launched “Google Voice search feature” in 2011 that allows users to search anything just by using voice. You probably have noticed that when you open Google.com, there is a small microphone icon located on the right side of the search bar. To start a voice search just click on the Microphone icon and shout out something that you want to search. This is a great feature for people who are just lazy like we all are and want to search anything by their voice instead of typing out. Now, as mentioned that you have to initiate the Google voice search by clicking on the microphone icon. But now, you don’t even need to click. 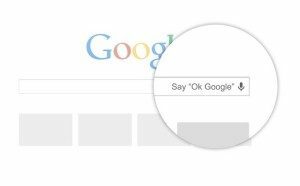 You can actually start searching immediately when you say OK Google. Yes, this is possible now using the Chrome Extension called Google Voice Search Hotword. 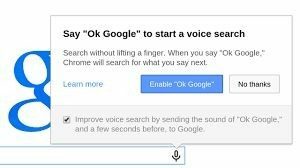 Using this extension you can start searching without clicking on the microphone icon because the next time you open Google.com and say OK Google, the search engine will be ready to start searching anything that you will say. Google Voice Search Hotword supports English language only to initiate the Google voice search feature. I recommend you to speak clearly and slowly get better result in Google Voice Search. There are lots of ways to connect a mobile or a digital device with the computer and the most popular and most used method is to connect them using USB cable. The USB connector is the most important part of a mobile, as using the USB connector you can recharge your mobile or copy content directly from computer to mobile or vice-versa. However, the USB connector that we are using at present is not so much user friendly and you might have experienced some incidental damages on USB port or USB cable due to the wrong input method opted in a hurry. But now “No worries”!!! The new Next Gen USB connector called Type-C is ready to be introduced in the market and it will be available for all devices by Mid 2014. The next Gen USB Type-C connector will be similar to existing USB 2.0 Micro-B connector and will be reversible. It means you can insert the connector in Mobile USB by any side and you don’t need to check the right position of connector to insert them in mobile. 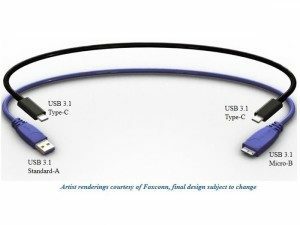 The USB 3.0 Promoter Group didn’t release any pictures of new next Gen USB Type-C connector but rumors says that it would be similar to the apple USB connector as shown in the image below. An entirely new design tailored to work well with emerging product designs. New smaller size – similar in size to the existing USB 2.0 Micro-B. Usability enhancements – users will no longer need to be concerned with plug orientation/cable direction, making it easier to plug in. 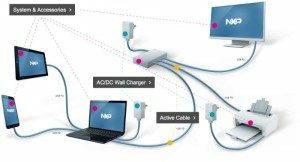 The Next Gen Type-C connector and cable will support scalable power charging. But Hey ! …. Don’t get too excited. The sad news is that your device will not be supported by this new next Gen type of connector (Type-C). Only new devices will support Type-C connector and that means your present USB connector will become obsolete in coming days. So, Are you ready to kick out your old one with new next Gen USB 3.0 Type-C connector ? Do let us know ! There is no doubt that VLC is the most favorite media player among many. Whether it’s all about your desktop or laptop or even when it comes to mobile device, we all want to have VLC player installed. To bridge this gap, VLC has rolled out its mobile app for Android and iOS quite some time before. 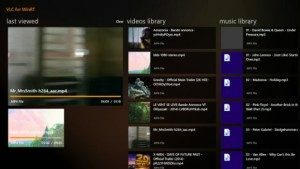 However, with the release of the new operating system from Microsoft (Windows 8), there is no dedicated app of VLC for Windows 8 users. 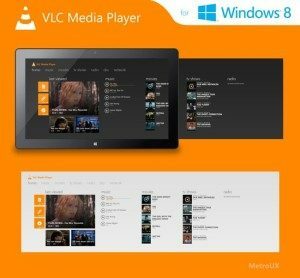 Seeing the more demand coming in, the company has stated that, they will be releasing the dedicated app of VLC for Windows 8 and for both versions of Windows 8 (including mobile version) very soon. The team this time is all geared up before the release of the app of VLC for Windows 8 store, which they tried before but was rejected due to audio bug. Also, the team is working on the ARM version of Windows 8. With that being said, Windows user can just hope that their wait will worth in the end. You probably have seen or heard many people around saying that their account has been compromised. In simple words “hacked”. Now there is nothing special in hacking, it is just fairly simple ways applied consciously. It is very important to protect your digital identity, and for the same, you must know how accounts are actually compromised, so that you can secure yourself from being hacked. The most widely used methods to trap the innocent user is keyloggers. They are just a piece of malicious software which was sent to your computer by hackers through fraud mails, infected software or from downloadable files. 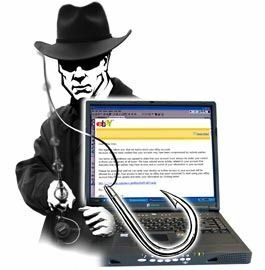 Keyloggers are used to capture the sensitive data like your credit card details, online banking details and personal credentials to exploit you. 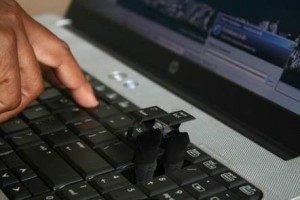 The major reason of keyloggers being accepted on computers is the outdated version of Java. In order to avoid this, keep your software and especially Java up to date and install decent anti-virus program. Also, stop using un-trusted download sites. Most of us opt to have the passwords of different services same for the reason we can’t remember them all. So, as we reuse the passwords for different accounts, it becomes very easier to crack down the entire list of our personal data which is being stored online. Leaking of Password Database of online service providers like LinkedIn and many other major sites is nothing new now-a-days. So, reusing the password is the most “Insecure” way you can opt for. And if you reuse the passwords for email accounts, it becomes very easy for hackers to get the credentials of almost every other account as resetting the password will not be that hard. To get over this, try using online password manager like LastPass. The security of these online password managers is un-crack able. Hackers have tried to hack the Database of LastPass over dozens of times but got nothing. So using online password managers’ tools like LastPass is the best option to avoid re-using the password again and again and in turn you can remember your password by forgetting it! 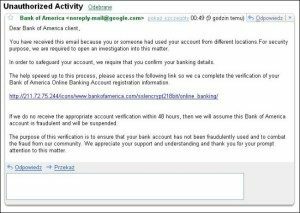 Phishing is also another method widely used by hackers. Impersonating as someone unique, they try to take your password with your consent. The best example of this will be, Fraud email impersonating as your Personal Banking services asking you to log in to your account to verify yourself. Or even a Fake Facebook authentication service of different online tools like games which makes you input your password with your consent without knowing their intentions. Be careful in clicking the links in the emails. If it is from the Bank, try to head over to the Bank site manually by typing out the URL of your respective bank. 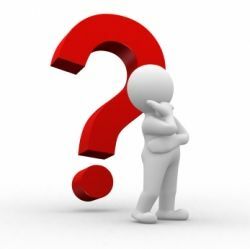 We all know that, password resetting can be done on major sites by answering the security question. And all we do is, we answer very simple and guessable questions like “Where were you Born?”, “What High School did you go to?”, etc. And end up being tagged with Hacked word. It is important to understand that this type of weak security question can be easily found from the social circle. So, try avoiding weak security questions. Or you can input the unique answer to those questions, which ain’t necessary to be true, but rather should be remembered-able. It is also important to know that hacking is not like trying and guessing every single “possible password”, but it is much more the use of brute force methods. So, if you take proper security precautions, it won’t be that easy for hackers to hack down your online accounts. 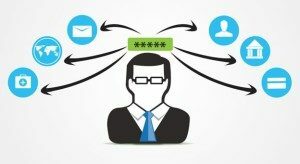 Using Two-Factor Authentication will be the best way to get more secured. With that being said, being hacked is not due to “Expertise” of hackers but due to “Foolishness & Carelessness” of our own. On many occasions I have published security tools and applications to protect USB ports in Windows OS. USB port is the most unsecure location where anybody can insert any hacking device or a pen drive to get their dirty hands on your important/secure information to misuse them. You can easily protect your PC from any type of virus using the antivirus program but securing your data from hardware hacking is something to look for, as it is a big threat. In Windows there isno application or options that disable USB ports in Windows but there is one small application called Windows USB Blocker, a freeware tool that can block or unblock USB ports on any Windows system. You can also block USB ports by changing in system Registry but this would be tricky and not safe, so betting on USB Blocker tool is very helpful for you. 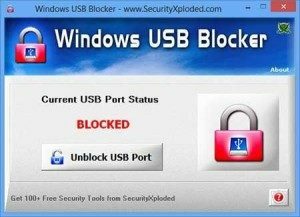 USB Blocker tool “Block USB Port” is very easy to use and you can block or unlock USB ports with single click. Just start this tool and click on Block USB Port button and your USB Ports will be blocked and secured. I know that many of my loving readers would think that it will block all USB devices like USB Keyboard, Wi-Fi adapter and other similar devices but not to worry!. USB Blocker will block only USB ports for only external storage devices like Pen drives or external hard drives. To un-block all the blocked USB ports start the application again and click on Unblock USB Port button. For new user, developers has also added a small help button at the bottom-right of this tool. Had you ever thought that we were going to be able to buy things without leaving comfort of home and through a screen? In the past, if you had to buy or sell something, you had to go out to get it. Nowadays the whole scenario has changed. Not only because at the moment, you don´t need a computer to do this kind of business, but also because you are able to buy or sell through a mobile phone. This is one of the advantages that Internet offers, but is not the only one. Technology evolutions is very quick and all the time new models of electronic devices are launched to the market. One of the possibilities that Internet offers us is that we can change our Smartphone, computer or tablet the times we want. For this, there is an online free classifieds web where you can sell your old mobile or TVand buy another one. This is OLX India, a site which lets us post ads without any limit whose aim is that we get what we are looking for. So if you want to sell or buy something (a Smartphone, tablet, laptop, car…), in this website you simply just have to upload an ad with photos, fill the necessary details and wait for the calls. And now, the company has launched a mobile app for all kinds of Smartphones and Tablets which make the whole process lot more easier. This company was founded in March of 2006 and nowadays, this is available in more than 105 countries and translated into 40 languages, what makes it much more accessible than ever. One of the countries where the popularity has highly increased is India. OLX has revolutionized the buying and selling concept and now, the site is positioned on the top of the most visited sites. But OLX is not only just limited to web. You can follow in OLX You Tube Channel the advertisements that the company has started issuing on television in June 2011. The ads show all the possibilities that the free classifieds site offers and how to use it.